A Cloud and onPremise offering for documenting IT infrastructure. SI Portal focuses on the needs of your IT Staff. Recycle Bin, Nothing is Deleted! Fully customizable. 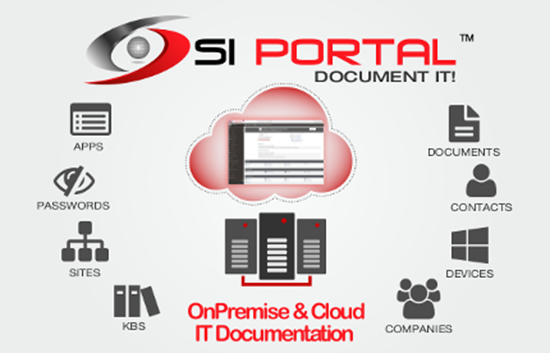 Hide areas of the SI Portal from specific users or the entire organization. Document devices, agreements, accounts, contacts, documents, kb articles, and configuration items and show how they relate to each other. We love SiPortal! Documentation with out the crazy price. It is really easy to use and 2-way syncs with Manage. This is a great, secure, cost-effective IT document management system. Much more affordable than their competition, and have an On-Prem version!